The article presents the findings, regarding the comparison between the pollen spectrum of the atmosphere in the area and the species composition of pollen emitting trees within the operating range of a Hirst-type volumetric air sampler. The research has revealed how local and transported pollen influence the pollen content of the atmospheric bioaerosol. Even though only a small number of birch trees grow in the area, its pollen proved to be prevalent in the pollen spectrum, while only an insignificant amount of Quercus pollen was detected due to the remoteness of its emission sources from the air sampler. Despite the fact that the highest number of trees in the immediate vicinity of the air sampler belong to the genus Tilia (linden), its pollen made up less than 1% of the pollen spectrum due to entomophily of these trees. Locations of tree pollen emission sources in the immediate vicinity of the Burkard spore and pollen trap were mapped out. Authors would like to express their gratitude to Prof. Estelle Levetin, Department Chairperson of Biological Science at The University of Tulsa, Oklahoma, USA, for suggestion on improving this manuscript and for Aliona Dratsion for editing this manuscript. The study was supported by the statutory funds of the Scientific Research Center of National Pirogov Memorial Medical University, Vinnytsia, Ukraine, by the Department of Human and Animal Physiology of the Vasyl’ Stus Donetsk National University, Vinnytsia, Ukraine and by the Department of Systems Analysis, Computer Monitoring and Engineering Graphics of Vinnytsia National Technical University. Burger, G., Keyser, P. D., & Andrew, L. Ecology and management of oak woodlands and savannahs. Available from http://nativegrasses.utk.edu/publications/PB1812_rev.pdf, Accessed 13 March 2018. Report about the condition of the natural environment of the Vinnytsia region in 2016. (2017). (Дoпoвiдь пpo cтaн пpиpoднoгo cepeдoвищa y Biнницькiй oблacтi, 2016 piк). Resource document. Ministry of Ecology and Natural Resources of Ukraine. https://menr.gov.ua/files/docs/Reg.report/%D0%92%D1%96%D0%BD%D0%BD%D0%B8%D1%86%D1%8C%D0%BA%D0%B0_%D0%94%D0%BE%D0%BF_2016.pdf. Accessed 22 January 2019 (in Ukrainian). Thibaudon, M. (2013). To a new standard for atmospheric pollen survey! 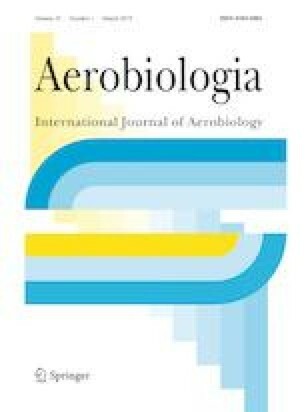 International Aerobiology Newsletter, 2013, 75, 3. Available from https://docs.google.com/viewer?a=v&pid=sites&srcid=ZGVmYXVsdGRvbWFpbnxhZXJvYmlvbG9neWludGVybmF0aW9uYWx8Z3g6N2YyZThiZjE5MDVlNGQ5NQ.